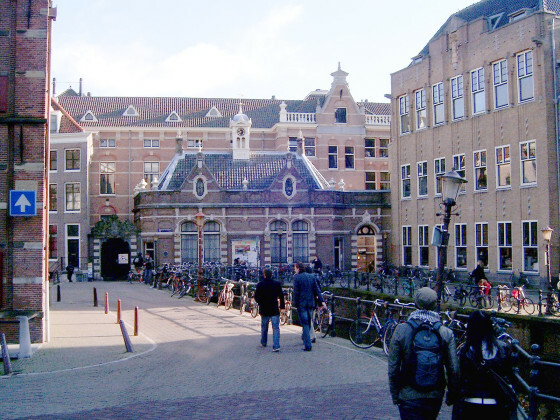 The University of Amsterdam is concerned about the rise in the number of foreign students and has asked education minister Ingrid van Engelshoven for help in managing the flow, the Parool reported on Tuesday. The rise in the number of international students is putting pressure on student housing and reducing the availability of places for Dutch students, the university’s rector Karen Maex said in a speech, marking the UvA’s 386th anniversary. Some 15% of the UvA’s student body is now foreign, but that rises to 25% among first year students. In her speech, which was in English, Maex said that the university needs to strike a balance between Dutch and English courses. Firstly, the university wants ‘Dutch programmes with a touch of English’ which will make it possible for international students to come to Amsterdam for shorter periods of time on exchange programmes. And secondly, ‘we want English-taught programmes with specific learning objectives that also pay attention to Dutch language skills for the Dutch-speaking students,’ Maex, who is Belgian, said. Her remarks come after several professors have gone public with their concerns about Dutch literature classes being taught in English – including translations of classic writers such as Vondel. Others have also expressed concerns about the poor standard of English used by both lecturers and students. Maex also said that steps need to be taken to manage the expectations of foreign students coming to the university, some 70% of whom come from other EU countries. What is needed is ‘a good and unambiguous admissions process in which it is clear whether the programme fits their existing knowledge and ambitions, a good intake and initial introduction, and detailed information about student housing,’ she said. ‘Student housing is a continuous concern. We are urging the city of Amsterdam to provide more student housing and of course we will continue to contribute to help find solutions,’ Maex said. There should also be measures to control international student numbers, she said. ‘Can you imagine a lecture hall in the future consisting for 80% of students from Germany, or from China? This is not in line with what we have in mind for an international classroom. It would not contribute to our goals,’ Maex said. Last July, the government’s research watchdog KNAW raised concerns that too many Dutch colleges and universities lacked a coherent policy on the issue of using English as the language of instruction. Around 20% of undergraduate-level courses were taught completely in English in the last academic year, a figure which rises to 60% for master’s courses.